Situated on the southern tip of Africa, the Western Cape has spectacular mountains, white sandy beaches, more plant species than Europe, boasts 2 colonies of penguins amongst its favourite citizens and southern right whales amongst its most frequent guests. 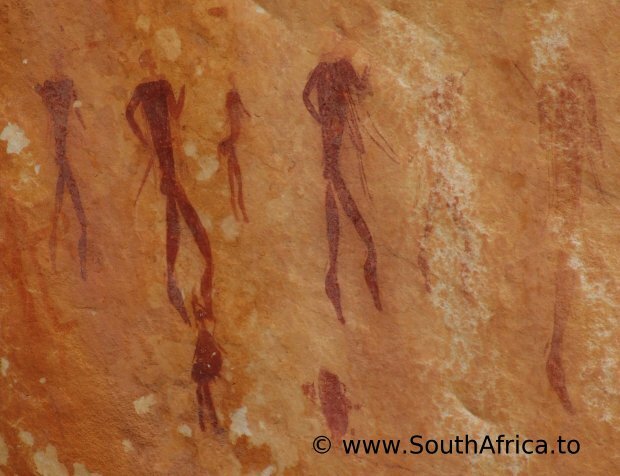 The long history of mankind in the Western Cape is demonstrated by these ancient Bushmen paintings found in the Cederberg at Kagga Kamma. 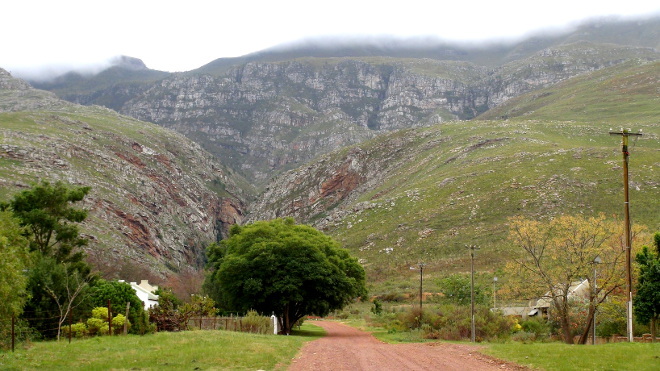 Here's a photo of the mountains in Greyton - one of the Western Cape's smaller gems. Greyton is a small town off the beaten track where horses roam free, and tranquility is in the air, and many houses remain which were constructed in the historic Cape Vernacular architectural tradition.